“An Old Friend of the Family,” was the third in the New Dracula series written by the late Fred Saberhagen (1930-2007). Best known for his Beserker science fiction series, his reimagining of the Dracula legend put forth the concept that Vlad Tepes, the Prince of Wallachia, only became a vampire after he was murdered. In the books, he is the protagonist and the humans bent on his destruction are portrayed as bumbling fools. This volume was the third in the series and with it he moved the saga to modern times with the descendants of Mina Harker, Dracula’s one true love, living in the suburbs of Chicago (where Saberhagen was born) and coming under the attack of New World vampires hoping to lure the Old Count to America and defeat him. It is the middle of a brutal Illinois winter and Kate Sutherland is kidnapped party and made into a vampire. Her grandmother Clarissa, Mina Harker’s granddaughter, recalls being told that should she, or her loved ones, ever find themselves in danger, all she had to do is read aloud an ancient Latin chant and help would appear. After Kate’s body is discovered, her younger brother Johnny is then snatched and brutal kidnapped. The old woman, with the help of her remaining granddaughter, Judy, speaks the chant and a few days later Dr. Corday arrives on their doorstep. He is the old friend of the family and though vague and mysterious, it is immediately obvious to Gran and Judy that they have a very powerful ally in this strange old man. Dr. Corday waste no time investigating the attacks on the Sutherlands and offers his assistant to Joe Hagen, Kate’s detective boyfriend. It is Corday who, upon examining Kate’s body in the morgue before her autopsy, discovers that she is not dead. Rather she’s been turned and he manages to get her out of the morgue and sequesters her in the family mausoleum until he can properly educate her in regards to her new status as one of the undead. But as the savage blizzard continues to blanket the Windy City and its outlying communities, Corday’s supernatural foes learn of his arrival and double their efforts to capture and destroy him. 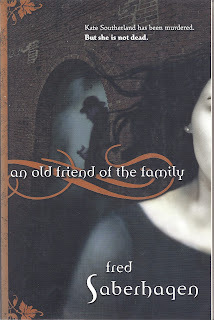 “An Old Friend of the Family,” is a gripping, fast moving vampire adventure told by a master whose hero is presented in a new light while maintaining his dark appeal. We’d heard of this series often over the years, especially of this particular entry, and are now very glad to have finally read it. If you’re a fan of classic vampire tales, this book will put a huge smile on your face. Just watch out for the fangs. Many times, while attending various pulp conventions, new writers will present me with copies of their self-published books to obtain a review. Such was the case with this little gem from Matthew Bieniek. It is a wonderful, extremely well written story about a young man named Tony who has the ability to go places and events in his dreams that have actually happened. All he has to do is think of the time and place before falling off to sleep and in his dreams he is there. This can happen with mundane incidents to those with rich historical significant such as being at Gettysburg to see President Lincoln deliver his famous address to a war weary nation. Or appearing in a parking late at night to see who it was that stole his co-worker’s car. Tony works in a grocery store and spends most of his time with his best friends, Dom and Danny. When he confides in them about his special “dream” abilities, they see the potential for Tony being able to assist the police in solving crimes that have been relegated to the cold-cases files. Eventually, Dom gets a job with a local detective agency and connects Tony with the owner of the company. 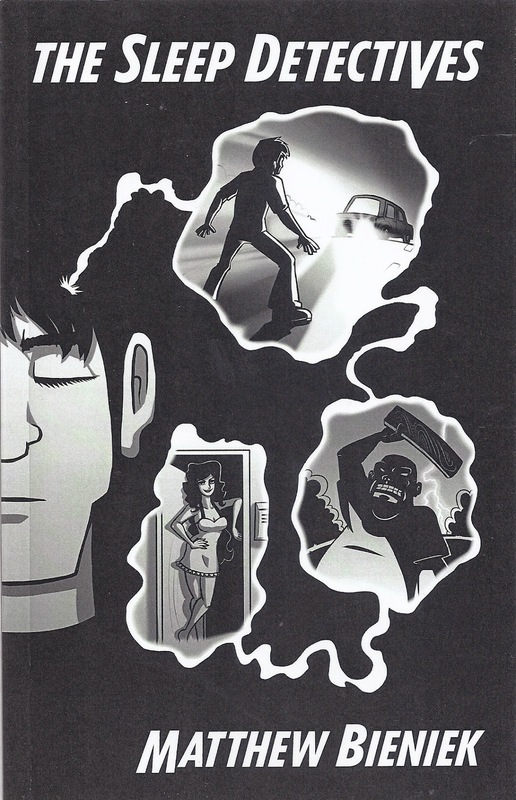 Invariably our likeable hero is asked to help solve the five year old disappearance of a young lady. This assignment takes him to some dark places and ultimately endangers Tony and his friends when a murderer is exposed. “The Sleep Detectives” is fresh, original and its characters believable from the first page to the last. Bieniek’s pacing is balanced and he pulls us along effortlessly. It is rare to find such an unpretentious writer who clearly loves what he is doing and achieves what he sets out to do, completely entertain his readers. Go find “The Sleep Detectives.” You’ll be glad you did. When little books, sometimes called chap-books, land on my desk, they bring within their pages lots of unique, long forgotten literary treasures. 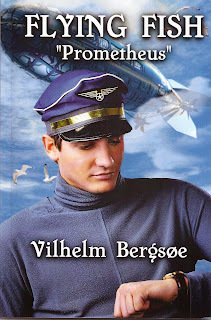 FLYING FISH “PROMETHEUS” is a very old Danish science fiction tale reminiscent of the works of Jules Verne. It is a rare story, considering its source, and little known among most sci-fi buffs until only recently. 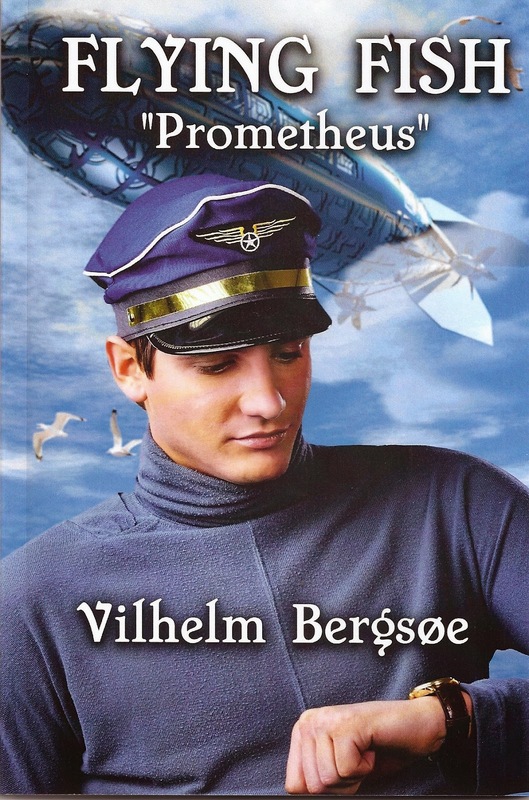 It was published in 1870 and tells the story of a Danish engineer who travels in a remarkable airship. In the tale, the author sets his adventure in the future of 1969 and his hero is on his way to Central America to witness the opening of the Panama Canal. The fun of this short tale is seeing which of the author’s predictions came true and which were pure flights of imaginative fancy. (Pun intended.) Perhaps the greatest of these being the aircraft itself which works less than conventional dirigibles and more like an actual flying fish having to propel itself out of a body of water to attain flight. For those of you who enjoy finding such long lost sci-fi gems, this wonderful package comes with additional material to include an essay on the author and the story’s history and a post article by the translator, Dwight Decker, on his role in bringing the story back into print and the inherent challenges in the translation. All in all, FLYING FISH “PROMETHEUS” is a rare sci-fi oddity we think readers will enjoy discovering…at long last. “Blue Labyrinth” is the fourteenth novel in our favorite new pulp fiction series starring Special FBI Agent Aloysius Pendergast. We first discovered the remarkable, acerbic millionaire detective when a close friend gifted us with a copy of his third adventure, “The Cabinet of Curiosities.” We were hooked immediately and compared many of the character’s talents and attributes to Walter Gibson’s classic pulp hero, The Shadow. Of course all such series have their ups and downs and loyal fans are always going to quantify certain entries as being better than others; the lackluster titles quickly shoved aside and forgotten. 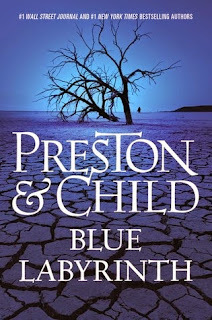 Such has been the case with the Pendergast books and we are thrilled to report that “Blue Labyrinth” immediately moves to the top of our personal list as one of the best ever. The action begins when Pendergast’s diabolical son is left murdered on his doorstep in Manhattan. It is over, sadistic challenge that sends Pendergast on a twisted, trap laden hunt for one of the most cunning adversaries he has ever dueled. One bizarre clue after another leads him from an abandoned casino in the Southwest desert to an over populated Brazillian ghetto filled with human misery and suffering. Eventually a twisted motive somehow connected with his family’s past begins to emerge. The entire affair is in fact a cold, calculating campaign against all those Pendegast holds dear. It is a personal war and one he cannot afford to lose. Once again writers Preston and Child whip up a brilliant, pretzel like plot that keeps the readers guessing from one page to another. Once more, we readers sit on the edge of our armchairs following familiar cast players such as Detective Vincent D’Agosta, Dr. Margo Green and the ephemeral, always mysterious, Constance Greene as they join forces to help Pendergast survive the greatest threat he has ever faced. ; one that will destroy him if they fail. 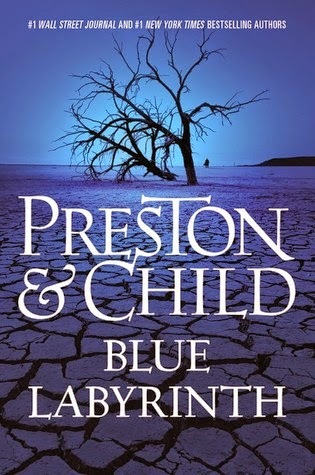 “Blue Labyrinth” is another top-notch chapter one of the finest thriller series on the market today and not to be missed. Honestly, we can’t wait for the next one.